Burn MP4 files to Blu-ray Disc/BDMV File/DVD Folder. Built-in tool to edit MP4 video with crop/trim/rotate/watermark. Customize Blu-ray disc menu with 100+ free template designs. Real-time preview before burning process. How to Burn MP4 to Blu-ray Disc for Windows or Mac? "I recorded my son's birthday videos with my Canon camcorder and wanted to burn those mp4 videos to my Blu-ray disc. What is the best MP4 to Blu-ray burning software to convert and burn MP4 videos to Blu-ray on my PC ?" With the advancements in technology, most of the population can be caught staring down at the screens of their phones or tablets for hours at a time. With the ability to watch as you go it seems that any type of home watching DVD or disc is a rare commodity. While it may be an uncommon thing now there is still a number of reason you would want to burn MP4 videos to Blu-ray disc. This article will tell you how to burn MP4 to Blu-ray disc for Windows or Mac step by step. Part 1. Why People Like to Burn MP4 to Blu-ray? With the convenience of being able to easily share videos and pictures over a number of platforms on the internet, there are still a number of videos or footage you may want to preserve to share with your loved one down the road. To save these precious memories without losing data and playable on big screen, burn MP4 videos to Blu-ray disc or Blu-ray disc to MP4 video is a better choice. Then you can share your created disc or video with your friends or families on TV or other devices. Not everyone has the access to the latest technology or devices that makes it easy to simply play MP4 video files. So you need a professional tool both for Windows and Mac to help you to convert your MP4 video to Blu-ray disc easily and safely, and then you can play your MP4 via Blu-ray disc without any trouble. 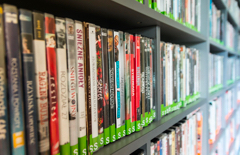 When it comes to using a disc burning software you want to make sure it is easy to navigate and can provide a high-quality disc when burning MP4 to Blu-ray disc. Wondershare DVD Creator is the best MP4 to Blu-ray disc burning software that you can find. It is an all-in-one system that allows you to create high-quality MP4 to Blu-ray disc that you can share and watch over and over again. The WonderShare DVD Creator can do a lot more than just simply convert your MP4 to Blu-ray disc, you can create unique video content with the many additional features this software provides. · Burn MP4 files and videos/photos in other formats to Blu-ray Disc/BDMV/DVD/ISO file. · Additional toolbox including ISO to DVD, Burn Data Disc, Photo Slideshow Maker, Video Editor, One-click Burning, DVD to Video, DVD to DVD, etc. 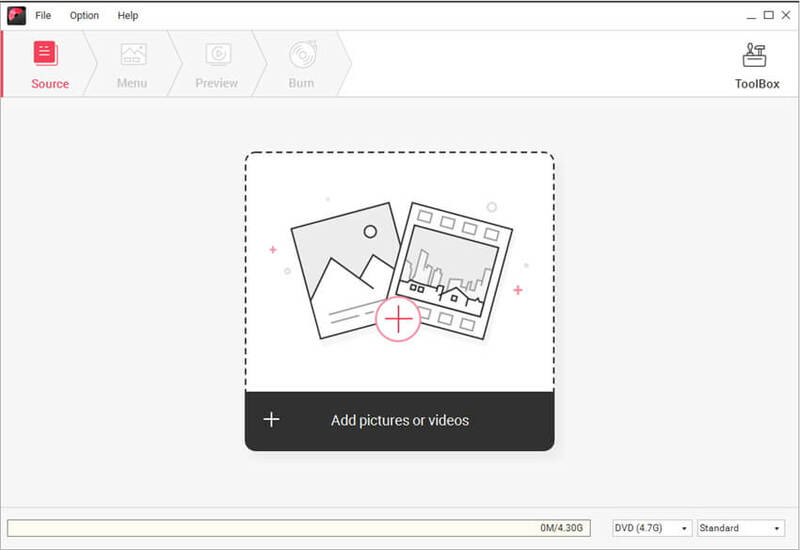 · Built-in video editor to trim, crop, rotate videos and photos easily, add subtitle, watermark, effects to personalize the MP4 video. · Choose Blu-ray disc menu from 100+ DVD menu templates with themes of Movie, Travel, Sports, and others. · Make customization on menu template with background image, music, text, thumbnail, chapters, etc. · Real-time preview before burning MP4 videos to Blu-ray disc with super fast speed and high-quality output. · Supported OS: Mac OS X 10.14, 10.13, 10.12, 10.11, 10.10, 10.9, 10.8, 10.7, 10.6, Windows 10/8/7/XP/Vista. 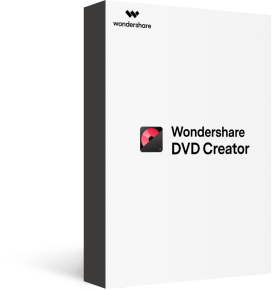 Converting your MP4 files to Blu-ray disc or creating your own Blu-ray disc can be easily done with the Wondershare DVD creator in just a few simple steps. Open this MP4 to Blu-ray disc burner on your computer after downloading and installing it, then select Create a Blu-ray(BDMV) Disc option from the interface. Click the " + " icon in the center of the interface to add MP4 videos present on your PC. You can also import MP4 file by drag and drop it directly. When all files imported successfully, you can see them displayed as thumbnail on the left column. To edit MP4 videos, click the pencil-like icon on the thumbnail and a Video Editor window will open, from where you can crop, trim, rotate MP4 videos, apply effects, add watermarks, and make other operations on your MP4 files. Just skip this step if you don't make adjustments on your video. 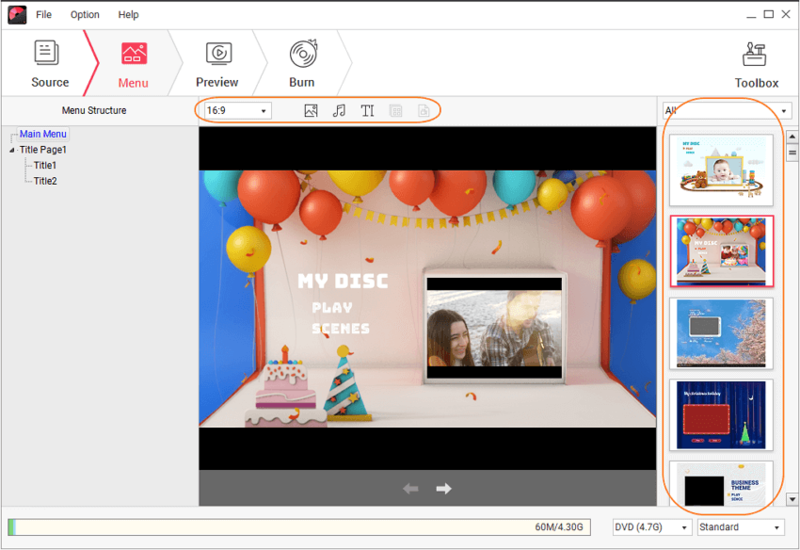 Wondershare DVD Creator provides you 100+ free templates for your MP4 to Blu-ray disc menu, click the Menu tab and you can find them on the right panel. For further customization, you can click the icons upon the active window to change background image/music, add text, adjust aspect ratio, create chapters, etc. Check your creation by clicking the Preview tab before burning, you can go back to make changes if needed. Next, click the Burn tab and choose Burn to disc or Save as BDMV folder option, select Burning Settings like Disc Label, Burner, Folder path, and others. Finally, hit the Burn button to convert MP4 to Blu-ray disc quickly and easily. Share and enjoy your created Blu-ray disc now, you can play your MP4 video on your TV with a big screen or send it to your friends as a gift. 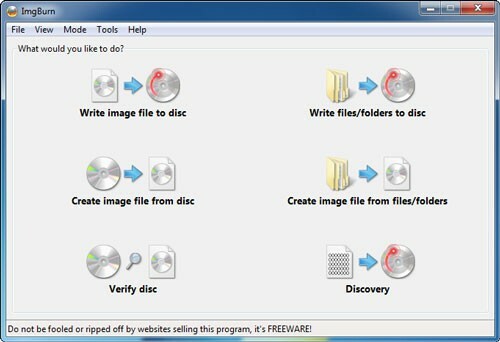 The steps of burning videos or photos to DVD on Mac are similar, just follow the above operations. As a simple and easy MP4 to Blu-ray software, BurnAware is a full-featured and free burning software to create CD, DVD and Blu-ray of all types, including M-Disc. Home users can easily burn bootable discs, multisession discs, high-quality audio CDs and video DVDs, make, copy and burn disc images. The users will benefit from BurnAware's advanced options, including control of boot settings, UDF partition and versions, ISO levels, session selection, CD text for tracks and discs, data recovering, disc spanning and direct copying. •	Providing the clean, effective, easy-to-use and multilingual user interface. •	BOOT settings, UDF partition and versions, ISO levels and restrictions, session selection, CD-Text for track and disc, byte by byte verification, direct copying, disc spanning features are also included. •	Create Audio CDs and MP3 discs. 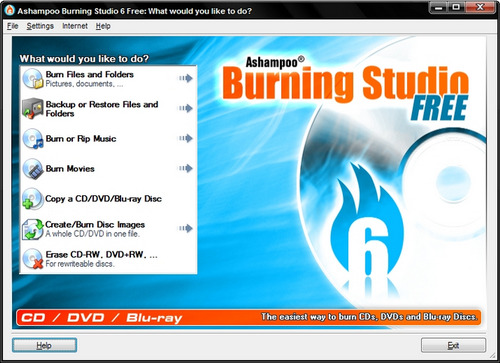 Ashampoo Burning Studio Free is a fast and hassle-free disc burner which could burn MP4 videos to Blu-ray disc easily. Other functions include back up data, rip music discs, create audio discs or burn existing videos, like MP4 files, and photos to Blu-ray and much more! With its intuitive interface, this MP4 to Blu-ray software is ideal also for beginners who'll achieve great results fast. •	Burn data with ease. •	Switch to Burning Studio 19 now. ImgBurn is a lightweight CD / DVD / HD DVD / Blu-ray burning application that everyone should have in their toolkit! It supports burning MP4 to Blu-ray disc, burning Audio CD's from any file type supported via DirectShow / ACM - including AAC, APE, FLAC, M4A, MP3, MP4, MPC, OGG, PCM, WAV, WMA and WV. • It supports Unicode folder/file names, so you shouldn't run in to any problems if you're using an international character set. • It's a very flexible application with several advanced features that are often lacking in other tools, especially when it comes to burning DVD Video discs. • Totally free to use. · Burn MP4 video and other video formats to DVD/ISO/DVD Folder/Blu-ray DVD/Data Disc. · Add MP4 files from camcorder devices to DVD directly. 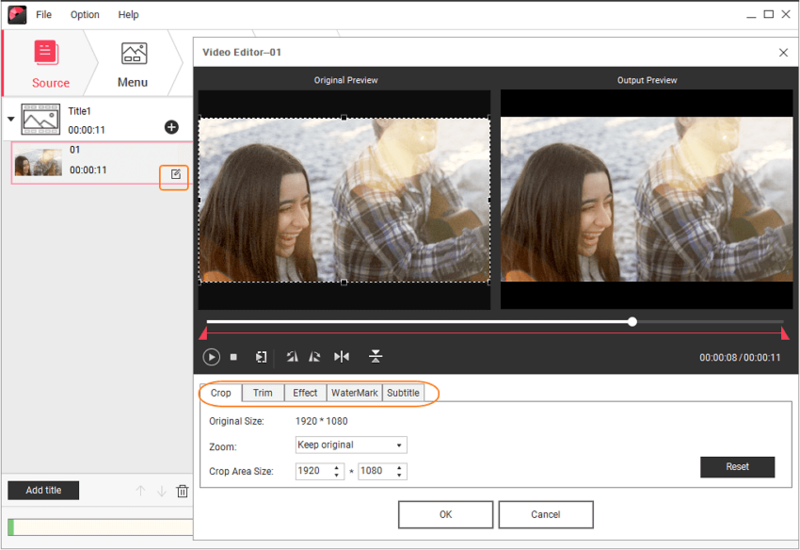 · Edit MP4 files with cropping, trimming, adding watermarks, editing subtitle, and other features before burning. · Additional functions including burning data disc, burning ISO to DVD, converting DVD to video, copying DVD to DVD, etc. · Convert MP4 to Blu-ray Disc with super fast burning speed and high-quality output.